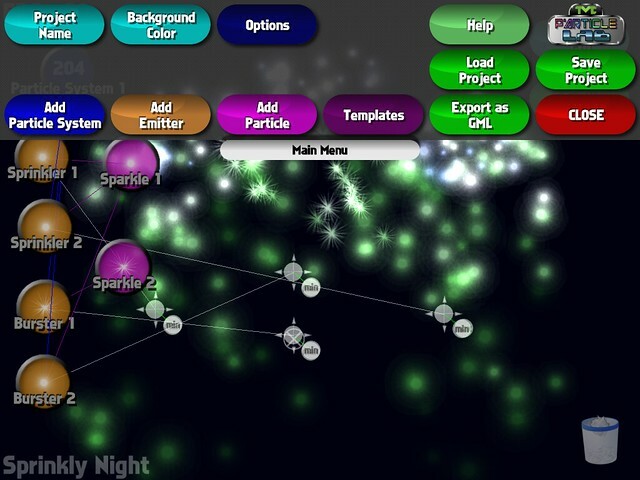 TMC Particle Lab is a Visual Particle Effect designer made for GameMaker Studio. Create advanced particle effects within minutes, using multiple Particle Systems, Emitters and Particle Types. Crosslink the systems simply by dragging and dropping them onto each other. Tweak and twist every available Particle option with ease. When you're happy with the effect, use the One-Click 'Export as GML' and import into GameMaker Studio. Use it in conjunction with the free TMC Particle Lab Effects asset found in the Yoyo Games Marketplace to recreate your effect exactly as you designed it. The default project contains 1 Particle System, 1 Emitter and 1 Particle. Tap and hold to move them around. Single tap to open the object menu. Use the menus for detailed options. Use the Main Menu to add more objects. Drop them on each other to link them. Dropping a Particle on another Particle sets the Death Particle. Menu and Hide/Show GUI buttons are drag-able - tap and hold to move them around. 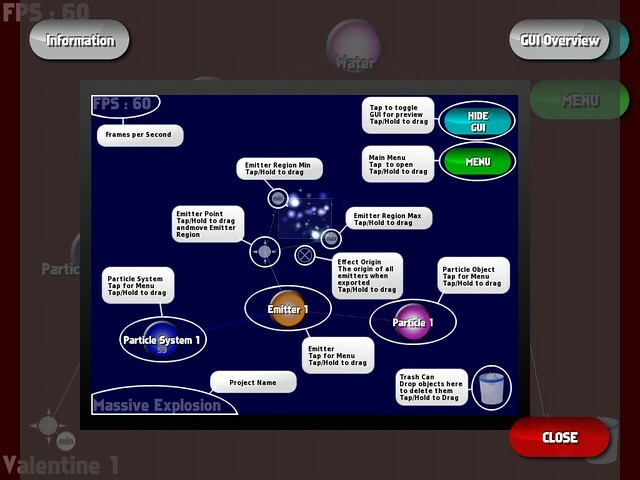 TMC Particle Lab is available now for Android, iOS and Windows Desktop, coming soon to Windows 8. The Free version includes 3 GML Exports, the Full version is unlimited. Edited by franke, 01 October 2015 - 04:23 PM. Was this made in gamemaker? I'm liking the UI. A mutate and/or randomize button would be neat for this kind of thing too. Edited by veta420, 24 February 2015 - 08:40 AM. A mutate and/or randomize button would be neat for this kind of thing too. You never fail to amaze me with your applications! Nice work! That is quite a compliment, thank you very much! 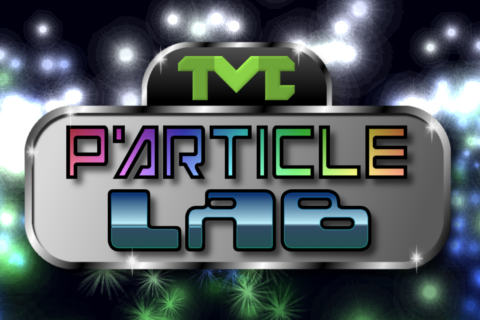 v0.0.87 of TMC Particle Lab is out! Use the download links in the first post of this thread to get it. Agreed! I wanted to maintain compatibility across platforms by using the same resolution all over, but i already undermined that strategy myself by changing the default resolution on Ios to something else. So the next update will probably feature the autodetect and some solution for loading Projects that include objects positioned outside the current view. A simple reposition would do i guess. you could also scale the x,y coordinates of each object. if you knew the size of the original project resolution and then you could scale the original coordinates by the proportion of the old res to the new res. Edited by veta420, 15 April 2015 - 08:40 AM. Yes, also an option.. the rescaling should only affect the particle objects (the visual representations), and not the emitter position/region, since that would rescale the entire effect, which probably is not what we want. I'll figure it out. I've implemented a solution to dynamically expand the workspace.. For Windows, the minimum resolution is now 1024x768 - if you resize the Window above this, it will not upscale but simply expand your working area. If you make the window smaller it will downscale everything. Go Fullscreen and the entire resolution is your non-scaled workspace The size is saved and used on next run. For mobile, it simply uses the device resolution as workspace, and downscale if it is less than 1024x768. Besides that i adjusted some code for optimization, disabled the application_surface and removed a workaround i used for loading templates. I'll update the free version on Gamemaker Player and IndieDB soon. The full version for Windows is available here on Sellfy and here on Google Play for Android (free download, IAP to enable GML Exports).